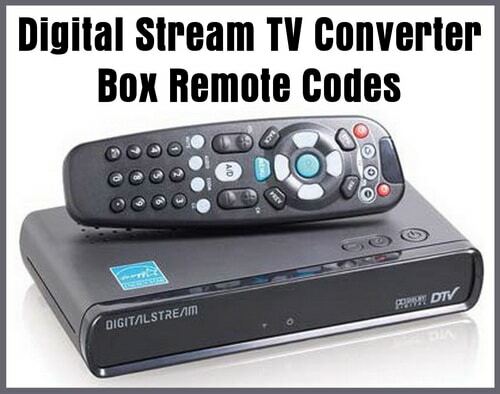 Digital Stream converter box remote codes. Here is a list of remote codes for the Digital Stream Converter Box. These codes can be used to control your TV with the Digital Stream converter box remote control or a Universal remote. 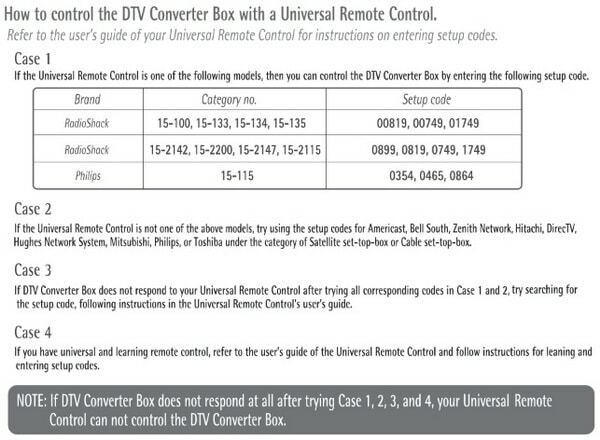 You can control Television sets for all major brands after programming the converter box remote control or a universal remote with the remote codes below. The Digital Stream Remote Control does not work for my TV. Hi! I tried all of the codes you have listed for the Digital Stream DXT9950 converter box, but I am still unable to locate the correct codes for the box. I’m using a new RCA universal remote. I saw the bottom statement saying that if the remote still doesn’t work, it cannot be programmed to the box. Since your site has been up, have there been any changes and/or codes that would help program a universal remote? Please help! Thank you! 🙏😊! I have a coby digital box. There was no remote control for it when I picked it up in the second hand for probably $4.00. They were selling these digital boxes in wal -mart at one point in time. I picked up an RCA 4 in 1 Palm Size Universal remote. But the codes that they give you for the digital box will not work the digital box. Is there a universal remote on the market that will work a Coby Digital Converter Box. how do I enter the codes on the converter remote control? I’ve tried everything I know I lost the remote to my Digistream Dx4. I bought a GE universal remote that takes 4 numbers and a RCA universal 5 number remote I tried the numbers posted here but no luck.